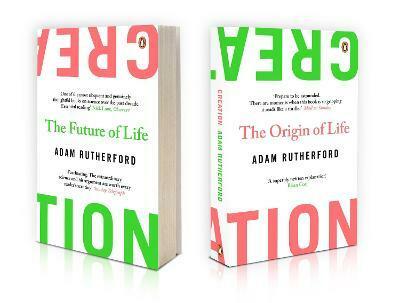 Creation by Adam Rutherford tells the entire spellbinding story of life in two gripping narratives. The Origin of Life is a four-billion-year detective story that uses the latest science to explain what life is and where it first came from, offering answers to the very grandest of questions before arriving at a thrilling solution. This same science has led to a technological revolution: the ability to create entirely new life forms within the lab, known as synthetic biology. The Future of Life introduces these remarkable innovations, explains how they work, and presents a powerful argument for their benefit to humankind. Dr Adam Rutherford is a geneticist, writer and broadcaster. He presents BBC Radio 4's weekly programme Inside Science and his documentaries include the award-winning series The Cell (BBC4), The Gene Code (BBC4), Horizon: 'Playing God' (BBC2) as well as numerous other programmes for BBC Radio 4. This is his first book.